My mission is to bring the beauty and excitement of orchestral instruments to children. By learning a musical instrument, students learn respect and love for the arts; as well as creativity, responsibility, time management and perseverance. They also gain confidence and sense of self. I look forward to working with each student to help them improve on their instrument while having fun! I encourage my students to set short and long term goals as well as explore different genres of music and performance styles. Students are able to see their growth as well as find their personal music preferences and are also taught to compose their own music! I expect my students to practice regularly during the week to meet their goals. Throughout the year, students have the opportunity to participate in student recitals as well as other performances in the community. Students perform solos or duets(with Ms. Myers) that display their individual talents, and pieces are chosen by the student and teacher to show the progress they have made. 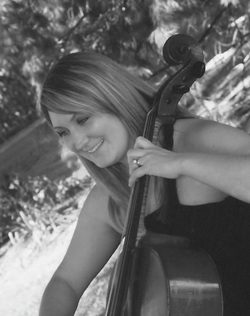 Private lesson students are encouraged to participate in a chamber ensemble. Performing with other students regularly makes a more well rounded musician and allows for more performing opportunities.